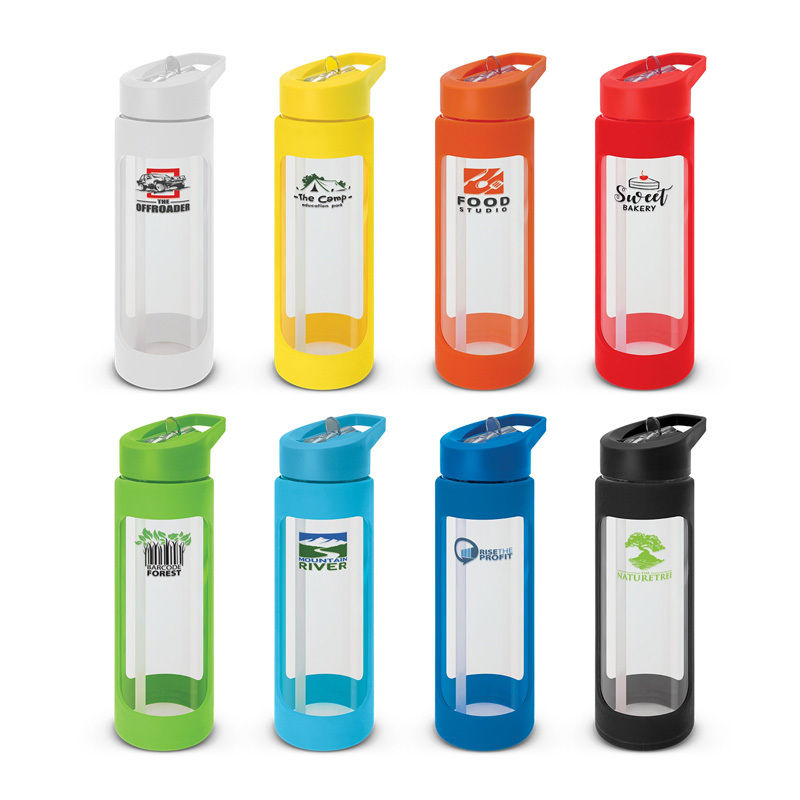 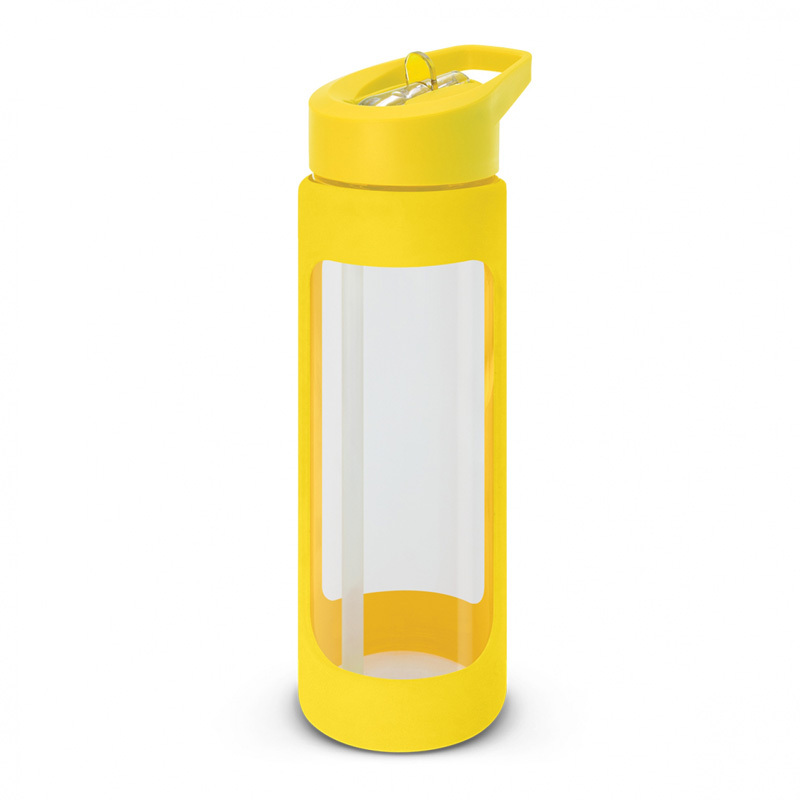 Stylish 600ml borosilicate glass drink bottle which features a protective soft touch silicone sleeve. It has a secure screw on lid which has a carry handle and a flip out drinking valve with a straw. 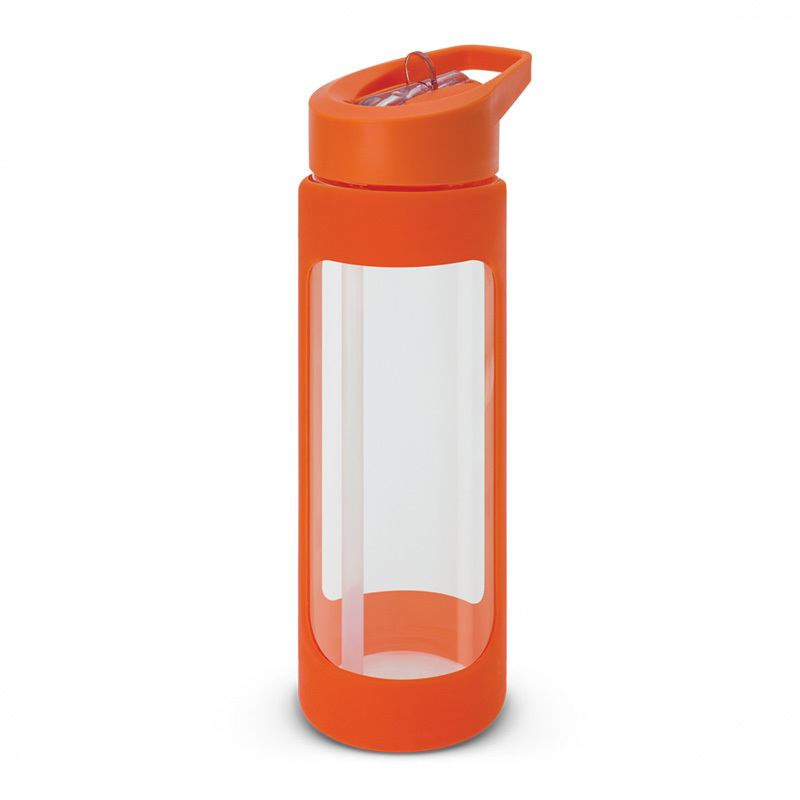 Borosilicate is a lightweight glass that is exceptionally strong and shatter resistant. Glass is a natural choice for a clean, pure taste and it offers a safe and eco-friendly alternative. 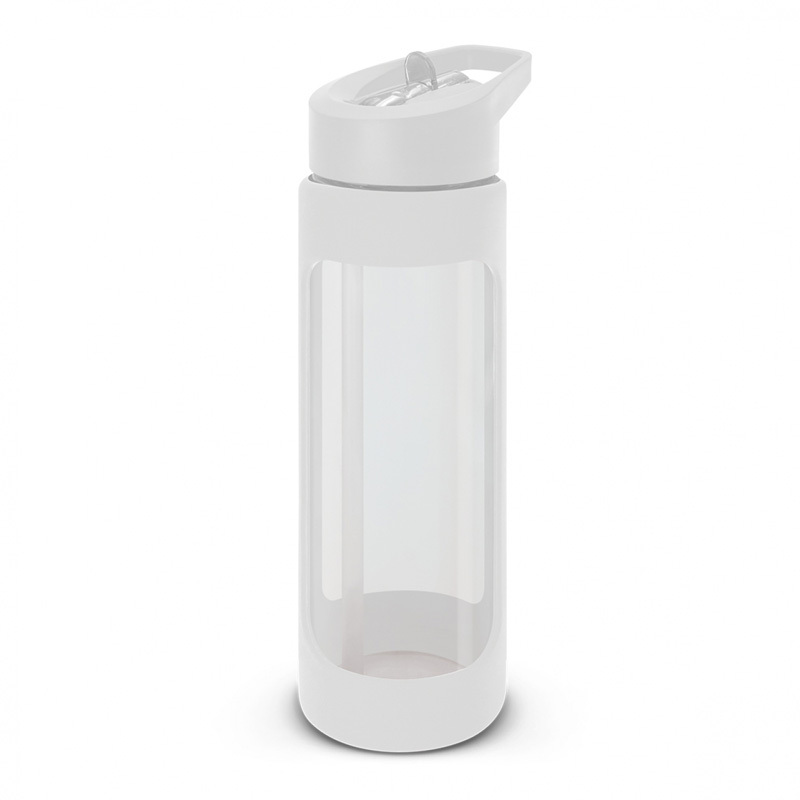 This product is not intended to be used with carbonated or hot liquids and handwashing is recommended. Pad Print: 30mm x 55mm.